Combine a genuine obsession for property, a peerless commitment to client service and an unmatched level of enthusiasm and what do you get? Jen Taylor, director of Jen Taylor Properties. This obsession & commitment has resulted in the young business woman looking to open her own business. Jen Taylor has worked in the property industry for years, so she knows the industrys strengths, and weaknesses. She wanted an agency with a difference! Jen Taylor Properties was founded around one simple mission. Build relationships, not just a gain a sale. Deliver results that exceed the clients expectations. Jen thrives on the competitive nature of real estate and has an innate ability to maximise the value of a clients most valuable asset within the most challenging of market conditions. Remaining calm and focused, even under extreme pressure, she maintains a sensitive and confidential approach in all her business dealings. Jen has a passion for Toowoomba. Born & educated locally, she knows and enjoys the lifestyle, the community and the real estate it has to offer. Her fresh, innovative ideas and motivation for success are a reflection of what she does best, listing and selling with the best outcome for the client. "Real estate is a way of life, a part of who I am and what I am about. I fell in love with the property market over 10 years ago when I began my career in real estate and have made it my personal goal to provide every single client with individualised service that is second to none". "I wake up every day loving what I do and, by striving to be the most successful agent I can, hope to transform my personal joy and accomplishment into success and delight for each of my clients". "I look forward to being of service to you in the future". Set in a blue chip location & built by local multi award winning builders, Millenium Homes, these units will offer that little bit extra without the price tag! This luxury designer townhouse has been finished to the highest standards for comfort & convenience and is a cut above everything else. Bargain hunters act now - This brand new duplex is the ultimate opportunity to kick start your property portfolio! Spacious & Modern Duplex Unit. No Body Corp! Located in a quiet cul-de-sac this spacious unit will appeal to the owner occupier looking for a fuss free lifestyle or the smart investor. Investors Delight. Long Term Tenant. Near new & set at the back of a small complex of 3 this is one you should inspect. Long term tenant - 2 year lease agreement. “Mauna View” is defined by its stunning views, perched on the escarpment with uncompromising privacy, timeless design and enduring quality. 22 & 22a Perth St offers a premium address for those who desire something out of the ordinary. Striking the perfect balance of livability & convenience, you can savour life at your own pace. The developer has catered to the recognized needs of downsizers and retirees by providing generous storage facilities & low maintenance in a secure gated complex with no body corporate fees. Investor Alert - Spacious Duplex Unit - No Body Corp. Rented at $380pw. Located in the ultra-convenient suburb of South Toowoomba, this is a great opportunity for the smart investor. Duplex unit built in 2014. No body corporate and is currently rented at $380pw (includes minimal furniture which is included in the sale). INVESTORS ALERT - NEAR NEW UNIT WITH A 12 MONTH LEASE. This boutique complex of 5 is set in a quiet east side street & enjoys all the advantages of a great location! Built by award winning local builder, Millenium Homes you are guaranteed a stylish & quality finish! Fully Renovated - Entertainers Delight - Must Be Sold! Located in a sought location of Centenary Heights this property has everything the growing family needs! Unforeseen circumstances calls for an immediate sale!! . Located in the heart of Rangeville this is a place that you will easily call home. Tucked away for peacefulness & privacy is 278 Glenvale Rd offering a comfortable & spacious family home – inside & out. Set on an acre block and only a matter of minutes to major amenities this is one you don’t want to miss. Location & Lifestyle. Spacious & Stylish. Located in a highly sought after locale, entering from Empress St this quality unit is larger than most and is sure to impress. SOLD PRIOR TO AUCTION! Sophistication. Style. Charm. Elegance. Commanding one of Toowoomba’s prime inner city locations, is this stunning colonial residence where rich architectural history blends seamlessly with contemporary design. Circa 1907 “Largo”, is set on a stunning 1682m2 block offering the ultimate in privacy, space & convenience. Inner City East Side Character! Perfect for the executives or anyone looking for a low-maintenance lifestyle in an ultra-convenient Eastside location! If you are looking for the stylish & hassle free lifestyle in a convenient location than this is it! Front unit, set in a boutique complex of 3 & walking distance to High St Plaza & Picnic Point. This attractive contemporary home is located in the newest estate in Middle Ridge. Built by Arden Vale, it offers quality, style and space. Quality Unit in a Stylish & Convenient Location! This quality built unit await your inspection! Set in a convenient location, perfect for those with a busy lifestyle. Near New Unit - Convenience & Style Guaranteed! This quality built unit awaits your inspection! Set in a convenient location, perfect for those with a busy lifestyle. Near New Townhouse - Perfect Location! This unit offers all the perks of a new home plus more! Set in a convenient, fuss free location - walk to shops, schools & parkland! Brand New Unit - Convenience & Style Guaranteed! BONUS - 1 WEEK FREE RENT! Spacious & Convenient Living at an Affordable Price! Modern Unit. Blue Chip Location. Affordable Price! Act fast! This stylish unit is set in a blue chip range side location & close to all amenities. NEAR NEW UNIT - Eastside Location! This near new unit offers all the advantages of a great location, stylish & fuss-free feel for the perfect lifestyle. Secure now! Unbeatable on Style, Location & Value! Set in the highly sought after area of East Toowoomba, in a boutique complex of 4 - this unit is guaranteed to impress! Chelsea - a charming, beautifully maintained cottage within walking distance of Queens Park, Cobb & Co Museum, TAFE College and the City - all at an affordable price. Beautiful inside and out! Brand New Family Home - Modern & Convenient! Set in a new estate in Glenvale, this home is sure to impress those looking for a stylish family home at an affordable price! "We have always found Jen attentive and knowledgeable about the properties she is representing. She is at all times enthusiastic. Always on time. Patient & we would hesitate using Jen’s services in the future!" "From our first contact with Jen at an open inspection, we were impressed with her wide knowledge of the real estate market including auctions. She was always on time for all appointments, immaculately presented and very willing to spend time to ensure we felt confident with the marketing strategy for our property. She is meticulous about giving timely and accurate feedback and we regard her negotiating ability as first class. If we need the services of a real estate consultant again Jen will be our first choice." "We chose Jen after having a terrible time trying to sell our house with one of the 'big' real estate agencies. They failed to communicate effectively and we were constantly chasing them for information and left in the dark with false promises. Thank god we found Jen. Her professionalism and confidence eased our minds and her communication was superb. In fact she chased us for information. Jen was always available, forthright and committed - everything our previous agent wasn't. We were extremely happy with our sale with Jen Taylor and only wished we had used her as our agent in the first place." "Jen was patient with finding me a home. She did not push me into anything I was not sure about. Jen had great advice and is a top negotiator. Jen listened to what I was looking for in a property and nothing was too much trouble. As we had to look at other agents' properties, I saw Jen is well respected by her peers and we had no trouble getting through homes. When I sell my home or buy again, Jen is the one." "Jen recommended a marketing plan to ease the stress of selling and having open homes with two young children. This plan worked perfectly and at all times there was appropriate notice given for additional inspections. Jen's presentation was always impeccable and professional. She was friendly and courteous at all times. Jen always went the extra mile and kept in contact throughout the sale process and met with us often to discuss the progress and interest levels of potential buyers. I was most impressed with Jen's supportive and friendly nature on the day of the auction. Obviously a stressful time for us, Jen made it as easy as it could have been. I would recommend Jen Taylor as a very reliable and courteous lady who would sell anyone's home with ease and professionalism." "I would recommend Jen as the perfect agent because of her integrity - a quality that can be a rarity in real estate. Jen is a confident and enthusiastic young woman who genuinely wants the best for her clients." "From the moment we made contact with Jen we have been constantly impressed with her commitment and her knowledge of real estate. We have previously sold 3 houses in the past and none have been as smooth as the one we have just sold. We are awaiting settlement to occur in one and a half weeks, but we know we can rest easy because Jen has always had it under control." "We would have no hesitation in referring Jen to any of our family or friends. She is the best at her chosen profession and I am very sure that in the not too distant future you will be hearing a lot from Jen Taylor Properties." "Jen was an absolute pleasure to deal with. She made the process of purchasing a property very simple. Her professionalism, patience and communication was second to none. Her service was very personalised and I appreciated her coming to me to get the documents signed. Jen was extremely helpful and patient throughout the entire process. I would recommend Jen Taylor Properties to anyone interested in a reliable and trustworthy agent." "Jen was most helpful every step of the way. I would recommend her to any one wishing to sell their property and of course buying property also." "I heard of Jen Taylor through a friend who was in raptures over her salesmanship, so I decided to try Jen myself. I found she worked very diligently to acquire the sale of my house and in such short time as well. Jen provided the information I required and her open houses were successful. Her communication to me was very valuable. I would have no hesitation in recommending Jen Taylor to anyone." "I found Jen honest and enthusiastic in marketing my property. She provided sound advice and was always available for feedback. On Open House days, Jen was always punctual and was committed in her quest for a buyer. Excellent presentation and manner." "Jen Taylor helped us buy our recent home which we are thrilled to have found. Her patience with us helped us have a long settlement which also suited the seller. It was refreshing to have an agent allow us to look at the home in our own time without having someone over your shoulder. Thanks Jen for your prompt reply on any query we had which ended up with us buying the home!" "Jen, my dealings with you were nothing short of excellent. Your personal manner, professionalism, punctuality and reliability made you an absolute pleasure to deal with and I have only praise for your work ethic in every aspect. You made me feel comfortable when negotiating and discussing the finer details of the process. I thank you for easing the stress of my buying and selling experience. I am delighted that the sale was achieved at almost the asking price and within 3 weeks! I would highly recommend you!" "It was an absolute delight to work with Jen Taylor to find my new home. I found her to be most trustworthy with an ease of manner that has you immediately relaxed. She has such a professional and confident approach you know you are in the right hands." "It was a refreshing experience to purchase a home through Jen Taylor Properties. Excellent communication throughout the whole process and a pleasure to deal with. Will be using Jen Taylor Properties when it's time to sell." "Jen Taylor Properties uses their love of real estate to create many happy sellers and buyers from their impressive website right through to their vast knowledge of the property itself. Any questions aimed at Jen will be answered promptly and with honesty." "Jen, I would like to thank you for your efforts in both purchasing and selling property. After a disappointment through another agency, I was amazed at the differences. I was at no time forgotten about. Your consistent contact was very much appreciated. The speed/timeframe in which you sold my home was amazing. I have other properties and I know you will be the person I will contact when the time comes for me to sell the. Thanks again Jen." "Buying and selling properties can be a very tedious and time consuming process. It was a pleasure dealing through Jen Taylor as she was easy to relate to and acted in a very professional manner. She made herself available whenever contacted and arranged suitable times to view properties. She was patient, giving sound advice and I felt under no pressure to make decisions. Negotiations went very smoothly and she was obviously committed to both buyer and seller. In the future if I have the need it will be a pleasure to deal with Jen Taylor again. I have no hesitation recommending her to family and friends." "Jen Taylor did everything right with our purchase. She was honest and succinct in her dealings and did her very best for us when negotiating a price. We would recommend her to any buyer or seller." "Our experience with Jen Taylor Properties in selling our house was exceptional. We were kept well informed constantly and received great advice. We were so impressed we have already recommended Jen to family and friends." "Jen Taylor Properties has made the purchase of my first new unit hassle free. Jen is enthusiastic about real estate, very professional, punctual and efficient. I appreciate her real estate services and highly recommend it to any potential property buyer or seller." "I would have no problem in recommending Jen to any future clients. She is a quality professional with many years of experience in the area as well as a very honest, caring individual who always gives her best for the seller." 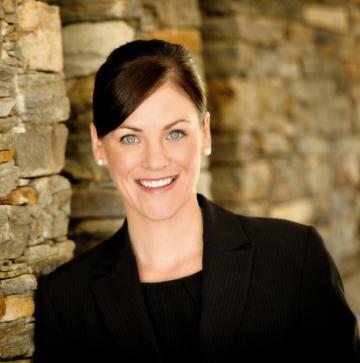 "Jen is exceptional in the real estate industry! – Enthusiastic. Willing to “go that extra mile”. Always available & returns calls promptly. We had experienced many “jaded” agents over the years, so we certainly appreciated “the gem” that Jen proved to be." "We appreciate the enthusiasm & dedication that Jen displayed. Jen’s communication & honesty was excellent & provided us with important feedback towards this life-changing experience. Jen demonstrated a keen interest & vast knowledge of the property market. We believe she has fantastic people skills & very successful in her field of work!" "We chose to ultimately work with only Jen as she was always very supportive & approachable on a wide range of issues related to our purchase. Nothing appeared too much effort for her despite the number of endless questions we asked. She was always immediately contactable, completely yet professionally open in her communication with us." "We found Jen to be enthusiastic, friendly and very knowledgeable. She went out of her way to find a property to show us in the time we had available to look, and gave us plenty of space to look around and talk without being intrusive or pushy. We’d happily ring her again!" "Jen was very easy to communicate with along with being honest with all aspects of the sale of my property. Jen always made contact and kept me up to date about potential buyers etc. Jen is very committed to getting a sale and I would recommend Jen to anyone selling or buying a home." "Jen was a well presented & informed sales person, who conducted the sale of our property in a very professional manner. This approach assisted in the sale of our property at the top end of our expectations, in the 1st week of listing!!" "Jen was a happy cheerful person who always put us/her clients needs first. No task asked of her was too difficult and she was very professional. We would recommend Jen to anyone contemplating a property transaction." "We would definitely recommend Jen Taylor. She was very professional. Her honesty & helpfulness throughout the buying and selling process put us at ease and we found there no surprises along the way. Thanks for everything Jen." "I would thoroughly recommend Jen. During the whole process, I felt that my needs and any concerns that I had were considered. When buying a house there are many things, like potential damage from storm water or tree roots, that need to be talked over with the seller. Jen's negotiation skills with the seller were first class and consequently a good result was achieved for all. Additionally, her commitment and persistence over the Christmas and New Year period, when a lot of people were unavailable and when I was finalising my purchase, allowed me to move into my new home earlier than expected." "From the first day I spoke with Jen I knew I was happy for her to sell my home. She was professional, punctual, polite, honest and a very good communicator. I achieved the very best result with the sale of my home with no stress or anxiety to myself. I have no hesitation in recommending Jen as a person who gets great results." "Most helpful and obliging person I have had the pleasure of dealing with in real estate." "Jen is an excellent salesperson." "Jen Taylor made buying my first home easy and I felt as though she had my back the whole way through. Jen supplied excellent advice and provided other support network options such as financial and legal options and inspection information. I would emphatically refer her services to others." "For the recent purchase of my unit through Jen Taylor Properties, I was very impressed with Jen's promptness, efficiency and friendly disposition which made for a very pleasant experience for me, reducing my stress level considerably!" "Thank you so much for all your hard work Jen! Tim and I are amazed at how easy the whole process of buying AND selling through you was. You really put in the hard yards and selling our place within a week was just amazing! Thank you again, I don't think we would ever risk going with any other agent." "Jen recommended a marketing plan to ease the stress of selling & having open homes. This plan worked perfectly. Jen’s presentation was always impeccable & professional. She was friendly & courteous at all times. Jen appraised the home in a price range and it sold at auction for the figure she predicted. We would recommend Jen as a very reliable & courteous lady who would sell anyone’s homes with ease & professionalism." "Jen Taylor was always courteous in her dealings with us, both in buying & selling. We found her prompt in time & conducted herself with integrity. We have no hesitation of recommending Jen as an agent who would always give her best commitment to her clients!" "Jenny is a remarkable agent with good negotiating skills and listens to the wishes of the client. She is persistent and patient with changes and co-operates with other agents with integrity. I found her trustworthy and honest in all our dealings and thank her." "Jen your presentation and dress code is a credit to you. No hard sell. Always a smile. Good luck & i wish you lots of rainbows." "Jen was always punctual (although we weren’t) well presented & easily contactable. She kept us informed & posted with good feedback. We were impressed with her professionalism from start to finish." "From the moment we made contact with Jen we were constantly impressed with her commitment & her knowledge of real estate. We have sold 3 houses in the past and we can tell you that none have been as smooth as the one we have just sold with Jen – she always had everything under control and the constant feedback was amazing." "We have found Jen to be competent & professional when representing our interests in real estate. We were impressed by her ability to negotiate with the other party and by her ability to inform us as to how the process was progressing. Jen’s ability to combine a friendly and enthusiastic manner with professional integrity was much appreciated."